Home / News / tech / videogames / It is time for a comeback. It is time for a comeback. The king has returned ... or has he? So many people have been going crazy over the Nintendo Classic these past few months. Even with it's lack of availably it seems to still garner a ton of positive feelings due to the enormous nostalgic factor. 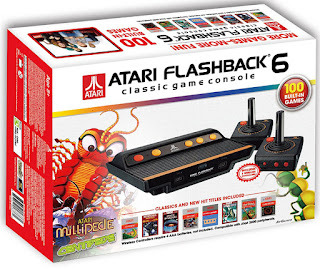 And even though it was a fantastic time for games and introduce video games back into the households and hearts of many families across the world after the big collapse years before it, there are many of us who actually grown up with another master, namely Atari. The Atari 2600 was a monster console that even when other more powerful consoles became available, ruled the living room for years until people grew weary of video games, the companies became greedy and lazy with terrible cash in titles. But before complacency and hubris set in, Atari knew to deliver a good time. They tried to come back a few more times with consoles such as the Jaguar and the portable Atari Lynx, but the rise of Nintendo and Sega had changed the landscape and the brand and their assets were divided and sold. Since then we have seen tons of re-released collections on new consoles and little plug in devices that would hold a collection of Atari 2600 titles from back in the day. 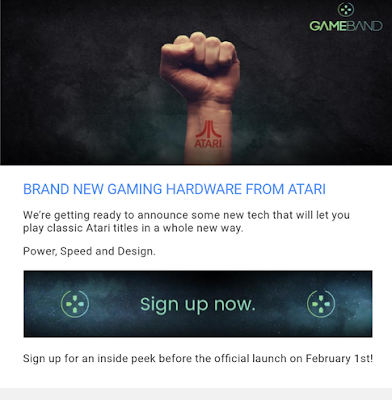 But perhaps something new is brewing in the video game world, a new chance for Atari to get back in the publics spotlight..
A press release and email went out from Atari, announcing that they will introduce new hardware on February 1st 2017. They seem to be referring to "GameBand" and it is being presented as new hardware and a new way to play. Strangely enough game band was already out in 2015 as some odd USB drive/sports watch type band that could "play" and transport Minecraft and all your worlds. Will Atari just dump a bunch of 2600 games on the same hardware and shovel it out the door or is this a new version of the game band with new features and maybe contain some of the mobile games they had released on the Atari Lynx back in the day. 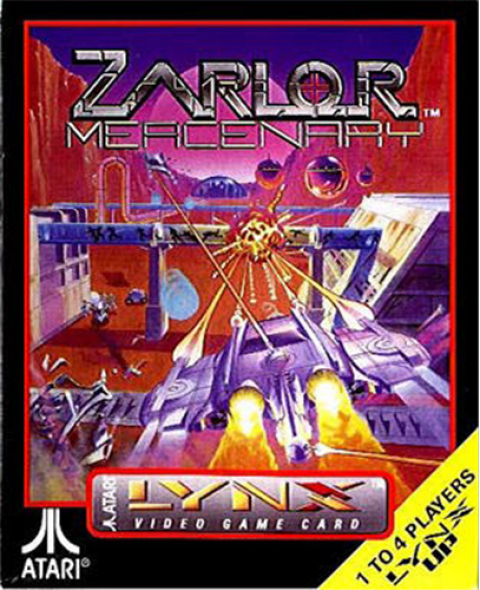 I for one would be totally game for a four player session of Zarlor Mercenaries. But knowing the history of the company who's IP has switched hands so many times the past few decades it is probably going to be a weird dysfunctional cash in that tries to ride the wave of popularity that is NES Classic. But I love to be proven wrong. There is even a real opportunity here combining their console games and their arcade releases on once device and not give us the same old, fun for five minutes, rehash again. I can walk to any CVS or Walgreens pharmacy right now and get those experiences already , in fact I already have one. As someone who grew up with the rise and fall of Atari and always a huge fan of the Lynx portable game console with all it's flaws, warts 'n all, I am real curious to see that this new Atari has to offer on February 1st. If it turns out to be another dud, then we always will have our memories of those long days playing astroids in the living room.